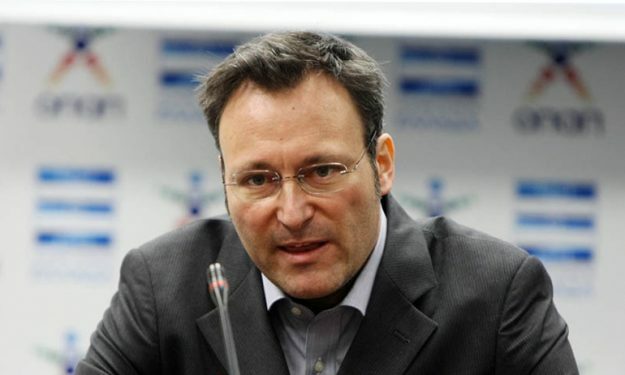 Τhe Basketball Champions League has made a key appointment with Patrick Comninos becoming its Chief Executive Officer. Comninos, who had headed UEFA’s Club and National Team Operations since January 2012, will be in charge of establishing and administering the Basketball Champions League – the innovative 50-50 partnership between FIBA and 10 top European leagues – as a top level competition in Europe, set to tip off in September. “I look forward to this new challenge and to the opportunity of contributing to this unique project that is the Basketball Champions League. I feel confident that my experience can be useful in this new project which aims to deliver a great competition for the participating clubs,” he said. Markus Studer, the Chairman of the Basketball Champions League’s Board of Directors, welcomed Comninos’s appointment. “Patrick Comninos has proven himself to be the ideal candidate for this position. He has the leadership qualities and know-how required to head up the Basketball Champions League and provide the boost required to make this truly pan-European club competition a reality,” he said. Prior to his time at UEFA, Comninos spent more than five years as General Manager of Superleague Greece, the highest professional football league in Greece. He had previously served as Director for the Olympic Football Tournaments of the Athens 2004 Olympic Games. The 47-year-old holds degrees in law from University College London as well as in international relations from Georgetown University in Washington D.C. and speaks four languages (Greek, English, French and Spanish). Patrick Comninos will assume his new role as of 1 August 2016.